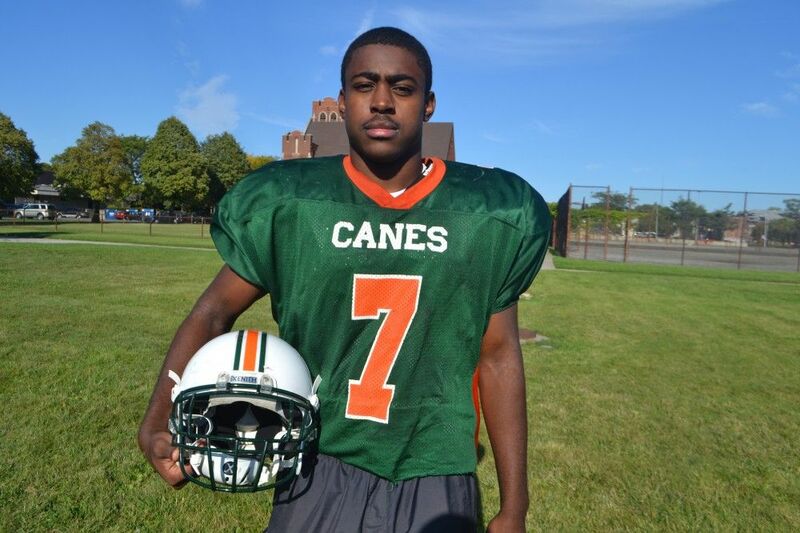 Douglass High’s Demetrius Stinson struck early and often last Friday in a six-touchdown performance that earned him distinction as Detroit Public School League Proud Strong Learner of the Week. “This is a great accomplishment and an honor,’’ said Stinson, who carried the ball 17 times for 252 yards and four touchdowns in the Hurricanes’ 44-0 victory against Osborn. The 6-0, 210-pound senior also caught two passes for 79 yards, including a 70-yard TD, and returned a punt 70 yards for another score. 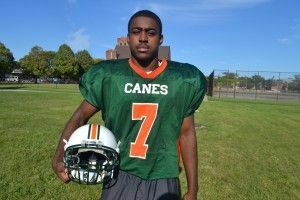 Stinson, a three-year starter for the Hurricanes, is listed as a running back on offense, but plays everywhere on defense from linebacker to safety to corner. “I can play pretty much any position on the field,” he said. Stinson was a key part of Douglass’ PSL Division II city championship team last year that was the first in the school’s history and reached the state playoffs also for the first time. The Hurricanes entered this week with a 2-2 overall record and tied for second-place in the PSL East division with a 2-1 league record. Their lone league loss was against first-place East English Village. The Detroit Public School League Proud Strong Learner of the Week award is representative of the league’s top boys and girls athletes. The award is presented by the DPS Office of Athletics and sponsored for the third year in a row by Detroit-area McDonald’s owner-operators. This entry was posted in Boys, News and Press Releases, Sports and tagged 617.